This image shows an aneurysm in the human brain. An aneurysm is an abnormal enlargement of the blood vessel, which most likely occurs as a result of stress placed on the blood vessel by the flowing blood with additional factors being atherosclerotic changes, high blood pressure and congenital contributions. Aneurysms are dangerous because as they grow, the blood vessel thins. Over time the wall of the aneurysm can tear and result in bleeding inside of the head. 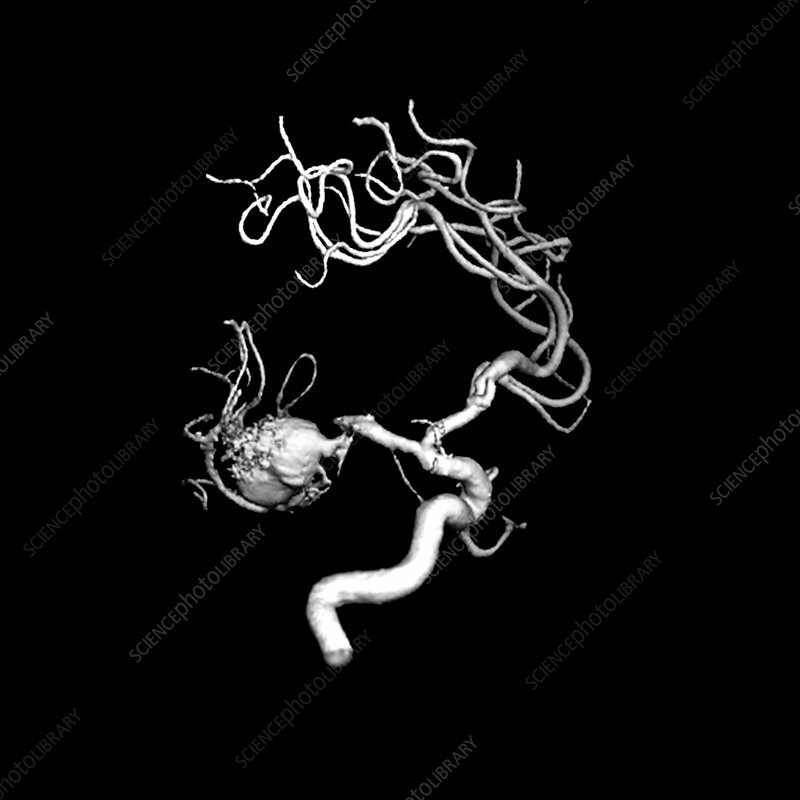 This image was obtained using a highly specialized x-ray machine which can create a 3 dimensional image of the blood vessels during a procedure called an angiogram. A small catheter is passed up the main artery in the abdomen and chest by a physician (usually a radiologist). The radiologist positions this catheter in the blood vessels of the neck (the carotid or vertebral artery). A contrast agent (dye) is injected through this catheter to fill the blood vessels.